Science fiction is one of the greatest genres in any medium. It fires the imagination of what could be, explores future possibilities, and asks deep philosophical questions. Many scientists and engineers today were inspired by works of science fiction as children. Sci-fi has predicted everything from communication satellites to cell phones. In the medium of anime, sci-fi is no less prominent. This is a mega-genre within anime and you’ll find many incredible shows within its ambit. You’ll notice that I haven’t put any mecha anime in this list, despite many of them being great science fiction. That’s a deliberate choice, since mecha is such a defined and developed genre in anime. If you’re looking for great sci-fi (or fantasy) mecha shows, then check out my list of mecha anime recommendations. Cowboy Bebop sits on a lot of top anime lists. This show is one of those cultural touchstones that just hit on the right mix of elements and execution. This year the original anime celebrates its 20th anniversary and interest in the show is still pretty intense. Keanu Reeves has been rumored to play the main character in a live adaptation. Shows like Firefly seem to draw on the “space western” aesthetic of bebop, although you could never prove it. Legendary sci-fi author Orson Scott Card is a big fan of Bebop and said it’s “better than all but a handful of science fiction films”. You’ll have no problem finding heaps and heaps of praise for the show no matter where you look. The story is set in the year 2071, about half a century after a big accident involving hyperspace technology. The Earth is an unlivable dunghole as a result. People now live in colonies spread across the solar system. Policing a solar system is hard, so there’s an official bounty system where “cowboys” can capture and bring in the worst criminals for a reward. 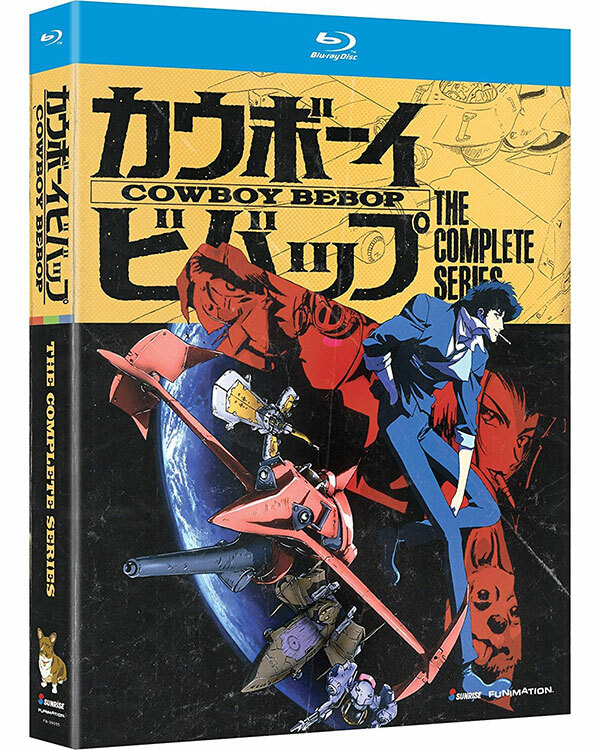 The story focuses on Spike Spiegel, his partner Jet Black, and their home base – the Bebop. The show starts out mostly as a “villain of the week” program, but an overarching plot comes out strongly over the course of the show as we delve into the pasts of Spike, Jet, and the new crew members who join them over time. Cowboy Bebop presents us with an incredibly textured world; a post-Earth society where many of our worst and best traits are magnified. Apart from an interesting story, Cowboy Bebop oozes style. It’s got a unique visual flair, and the soundtrack by Yoko Kanno is one of the best in any TV series – anime or not. Cowboy Bebop is one of “those” anime series. Like Ninja Scroll or Ghost in the Shell, you need to have seen it to be taken seriously by other fans. Luckily, it happens to be an outright masterpiece. 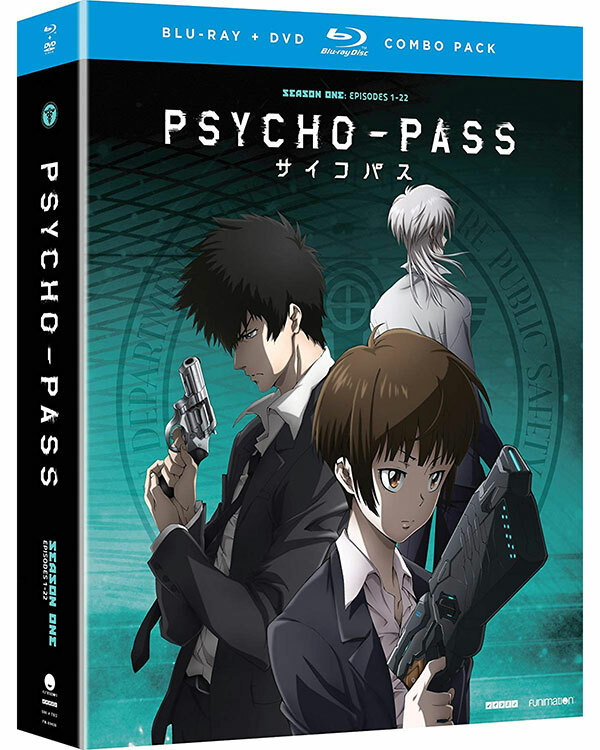 Psycho Pass took me quite by surprise since I missed any sort of hype or buildup to the show. It’s a cyberpunk show which shares more than just a genre with Ghost in the Shell. This is another Production I.G. property made with the explicit intent of keeping up the great work done on one the various GITS properties. It’s dystopian with heavy influences from properties such as Blade Runner and Minority Report. Although, which modern dystopian story is NOT influenced by Blade Runner’s visual style? In the future world of the show, humans have developed the technology to accurately gauge how likely a person is to commit a crime. Special scanning devices that are placed everywhere constantly check whether someone’s mental state is still acceptable. If your “Psycho Pass” falls below acceptable standards you’ll be arrested for reform or, in some cases, summary execution. Fugitives from the law are pursued by “enforcers”, who are a special type of police officer. These enforcers are “latent” criminals, which makes them effective at fighting the not-so-latent variety of crook. Each enforcer is paired with a partner who has a normal psycho pass assessment. If they ever step out of line, the partner has the authority to put them down. Psycho Pass is absolutely packed with dense sci-fi concepts, questions, and philosophies. Like all good sci-fi, it acts as a sort of dark mirror for our own present day and makes you wonder where the limits of morality, freedom, and social good actually lie. 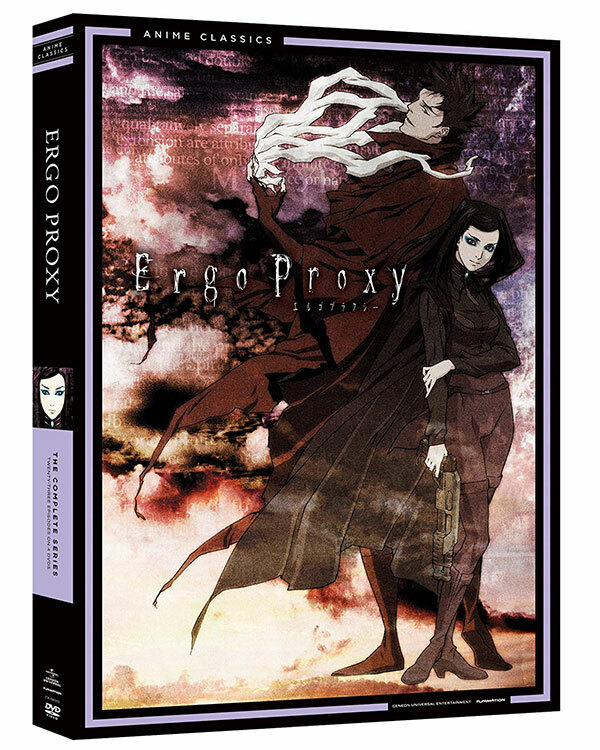 Ergo Proxy is another dystopian sci-fi series with a dark aesthetic and dense plot. The ecosystem is screwed and people now live in domed cities. Well, we know of at least one, named Romdeau, where the show is set. The world they live in is completely automated and controlled, a little like a twisted version of Jacque Fresco’s Venus Project. People live with androids who help them with every need. As the story progresses, our heroine, who is an inspector, must investigate a series of pretty gnarly murders committed by corrupted androids. The reasons why this is happening might shape the very foundations on which this far-future society is based. It’s the type of show I should not spoil for you but, believe me, if you like dystopian mind-bending sci-fi then Ergo Proxy is worth a look. 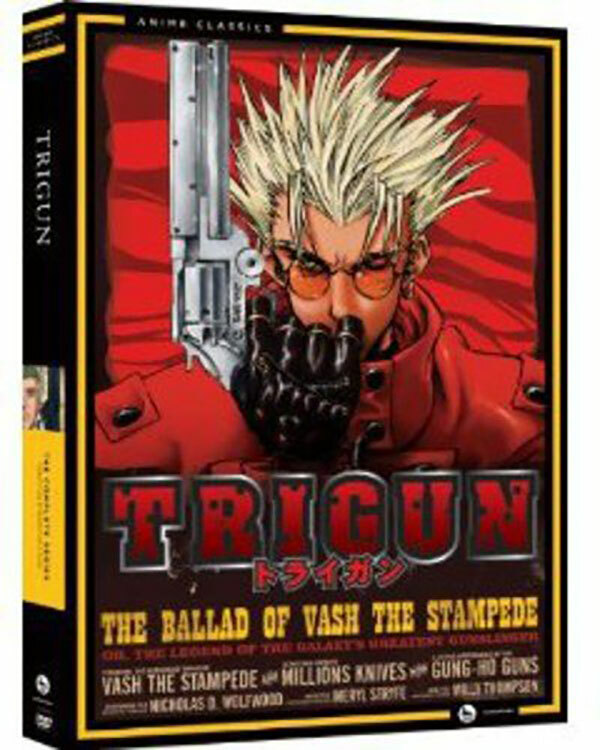 Like Cowboy Bebop, Trigun is a classic sci-fi anime from the 90s. Coincidentally, it’s also a far-future Western. The key difference is that Trigun is also a brilliant comedy with strong drama elements, although it’s not a “dramedy”, as the kids are saying these days. Our main character is known as “Vash the Stampede”. He has a massive bounty on his head – so large that one of the big instance companies sends out two agents in a bid to minimize this human natural disaster. The thing is, Vash can’t remember what happened during the destruction that lead to his initial bounty. He’s a peace-loving guy and the only subsequent damage has been from the actual bounty hunters who follow him. On his journey, this gifted gunfighter learns more about what happened and how it connects to the fate of the world. Trigun is a fantastic show and the perfect way to relax after a long day at work. They don’t make ‘em like this anymore. This is one of the absolute Titans of sci-fi anime. 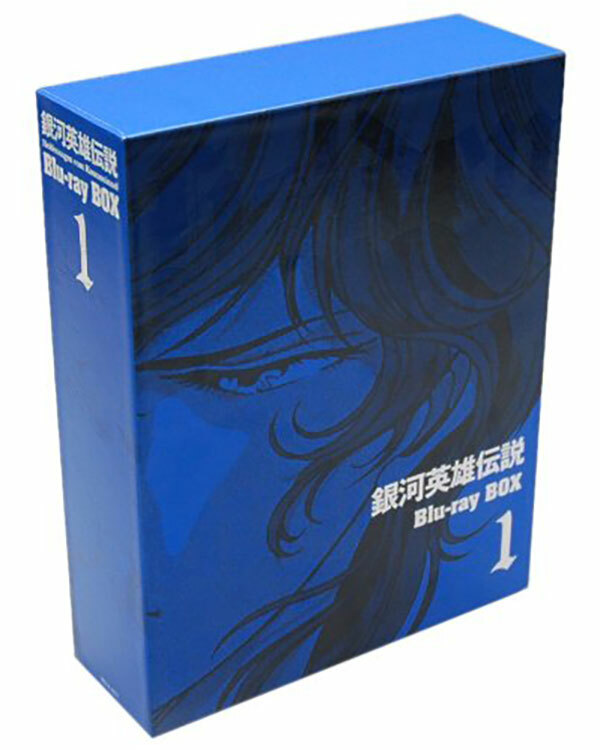 Based on a long-running manga series, this 1988 film is directed by Katsuhiro Otomo and broke the Western market way open when it comes to anime. Certainly it didn’t do it alone, but this title acted as a gateway to a wider spread for anime fandom. 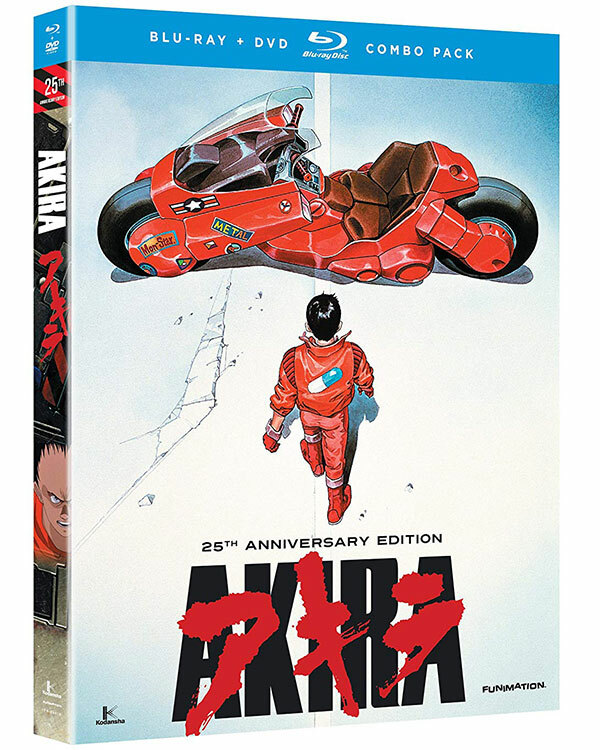 Akira the film tells a more truncated version of the massive manga, but manages to epic nonetheless. In a postapocalyptic Neo Tokyo we meet a delinquent bike gang lead by a young man known as Kaneda. They get mixed up in an incident where the military is trying to recover an escaped experimental subject. One of Kaneda’s friends, Tetsuo, comes in contact with the subject and is taken into custody by the army. After waking up, Tetsuo begins to exhibit strange powers. Kaneda tries to find out what happened to his friend and what the military has been up to. It all comes to an epic head towards the climax of the film. Akira is beautifully animated, has a unique and moving soundtrack, and is still an incredibly subversive film. It should be in the collection of every fan. 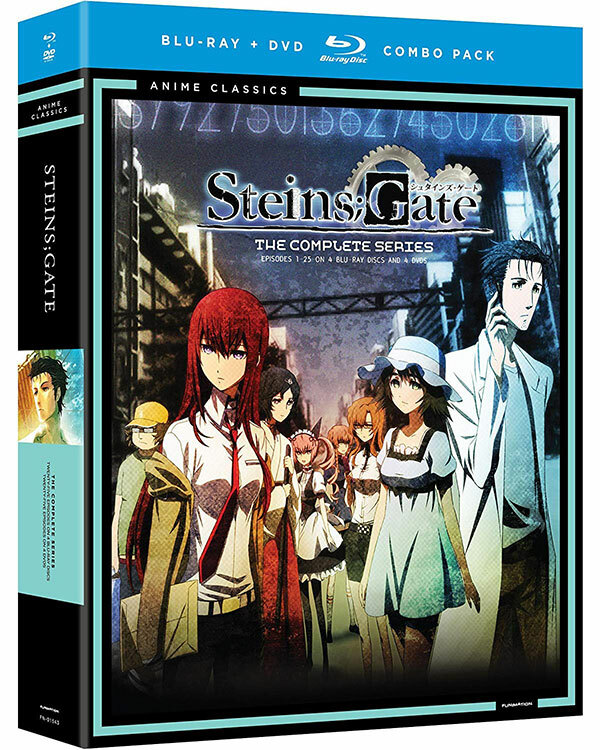 Steins;Gate is one of the most “pure” sci-fi anime ever made. The main character is Rintaro Okabe, a mentally unstable “scientist” who visits a conference on time travel only to discover the body of a famous theoretician. Later the person turns up alive, begging the question of what Rintaro actually saw. From there things just get more around the bend. Is Rintaro crazy or is something even weirder going on? I really don’t want to say more, but if you like wacky time-travel sci-fi with a sharp psychological thriller edge, then Steins;Gate should be on your shortlist. Before I say anything about Gantz, you should know that this show is ultra-violent and very gory. If you can’t handle something along the lines of a Tarantino film when it comes to the gore level, give this one a skip. If you are, however, OK with some blood and guts, then Gantz is one of the best high-concept anime out there. In this story all the main characters have died. At the moment of their deaths they are resurrected in a small room standing in front of a weird spherical object. The sphere is called “Gantz” and inside there’s a naked old man attached to wires and life support equipment. He communicates with them via a screen on the front of the sphere. 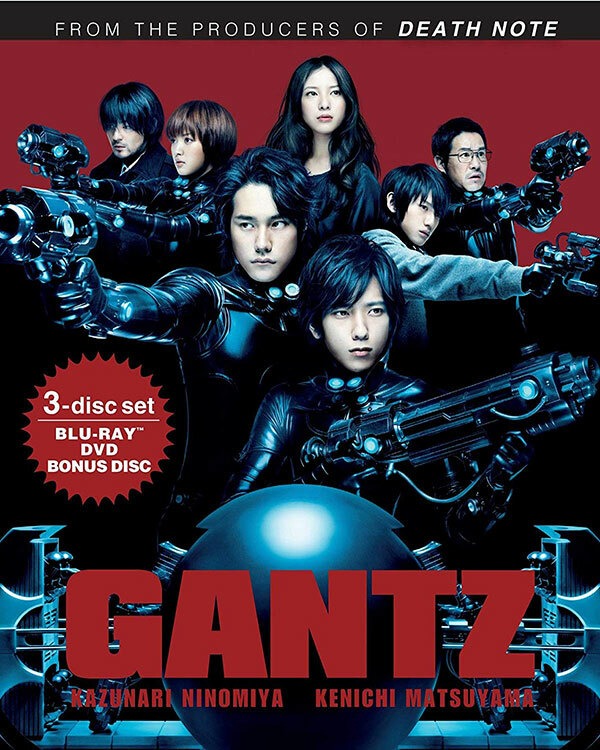 Gantz provides those that appear in the room with a suit that enhances their abilities, and a selection of weapons. After a few minutes they are all dropped into a zone and tasked with eliminating an alien threat. Those that don’t die during the mission are sent back (injuries healed) after killing all aliens. If they fail the mission, everyone dies. Clearing missions and killing aliens earns points. Once you have 100 points you can escape at the price of your Gantz-related memories being wiped. Alternatively, you can resurrect a former team mate who has died, or get a very powerful weapon. Why is Gantz doing this? What’s the point? Who are the aliens? It’s a show that poses more questions than it answers most of the time, but it pulls off the balance between action and tension brilliantly. 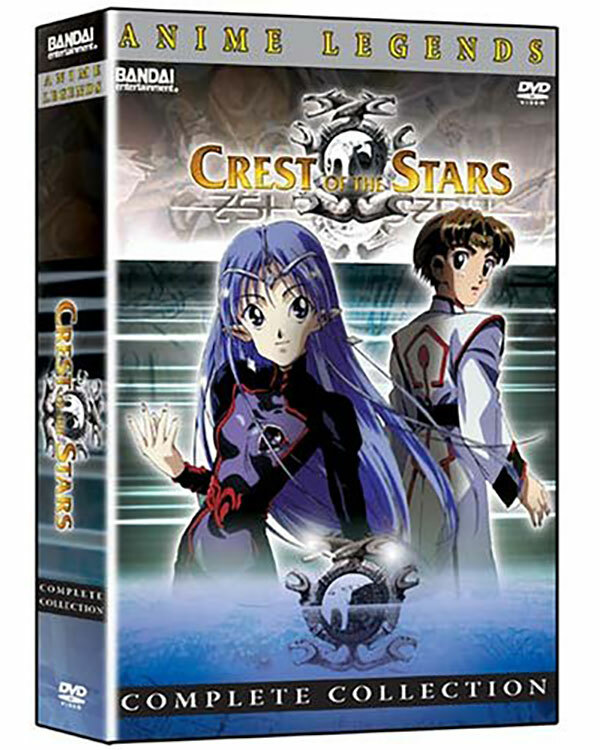 If you’ve read my personal list of favorite anime you’ll know that the Crest of the Stars and Banner of the Stars series is very dear to me. This is a space opera with galactic empires, human rebellions, and all the other genre hallmarks. What makes the series special is, first of all, the author’s amazing world building. Cultures, constructed languages, and more are equal to the thoroughness of Tolkien, if I should be so bold. The strength of this show, however, lies in the relationship between the two main characters – a human boy named Jinto, whose circumstances force him into the nobility of an alien culture, and Lafiel, heir apparent to the empire. Both of them have insane expectations upon them thanks to the deeds of their ancestors, but somehow in this crazy galaxy they have to make sense of it together. It doesn’t help that Jinto is deeply in love with someone so far above his station that only fate could have made them meet. Based on an ongoing light novel series that’s been around since the mid-90s Banner of the Stars is one of the greatest sci-fi series that only a few people have heard about, even inside anime fandom. Just about everyone knows about the 1995 Ghost in the Shell film, based on the manga series by Masamune Shirow. I’m a fan of the manga, but I actually didn’t like Mamoru Oshii’s take on the source material. 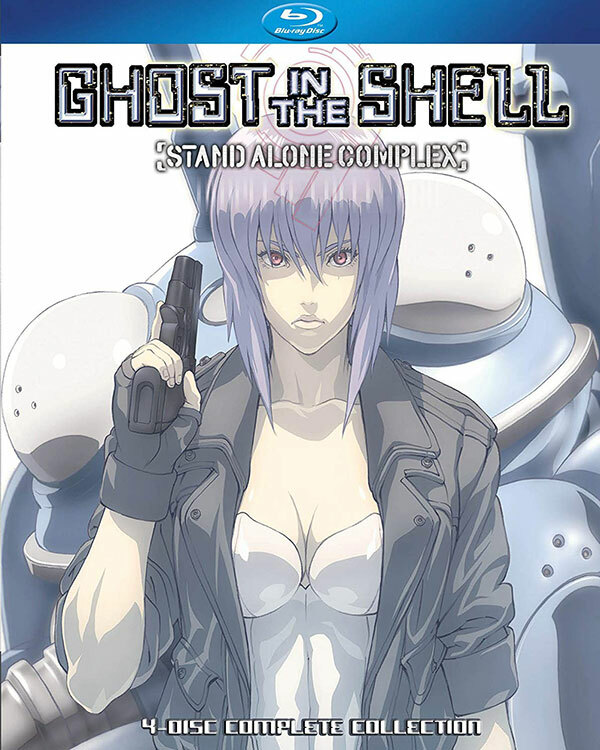 Then Ghost in the Shell: Stand Alone Complex came into the picture. While this is still not a 1:1 adaptation of the manga, it’s a much more enjoyable animated version of the show, in my opinion. GITS:SAC, as it is known, is in a completely different timeline than the film, and they don’t intersect. It follows the exploits of Section 9, a government organization that consists of high-grade military cyborgs. They are led by Major Motoko Kusanagi and work to keep a cyberpunk future world, where everyone has cyberized brains, safe from hackers, terrorists, and other national threats. GITS:SAC is both a great crime serial and sci-fi action series. Outstanding technology, interesting moral issues, and more work to really make this a seminal show. I’m finishing this list off with a another space opera, except that when it comes to anime this is THE space opera. It’s based on a series of novels and was adapted into a 110-episode anime. It details the political and military struggle between two galactic powers. It focuses on two characters, one from either side. The empire has Reinhard von Lohengramm and the Free Planets Alliance has Admiral Yang Wen Li. If it weren’t for their place of birth, these two might have been fast friends. This epic space opera shows us the conflict between Yang and Reinhard as those around them play their political games. There’s drama, there’s joy, and there’s more political intrigue than Game of Thrones could ever dream about. It might be daunting to tackle such a large series, but if you like space opera, fleet battles, and politics in your fiction, this is about as good as it gets.